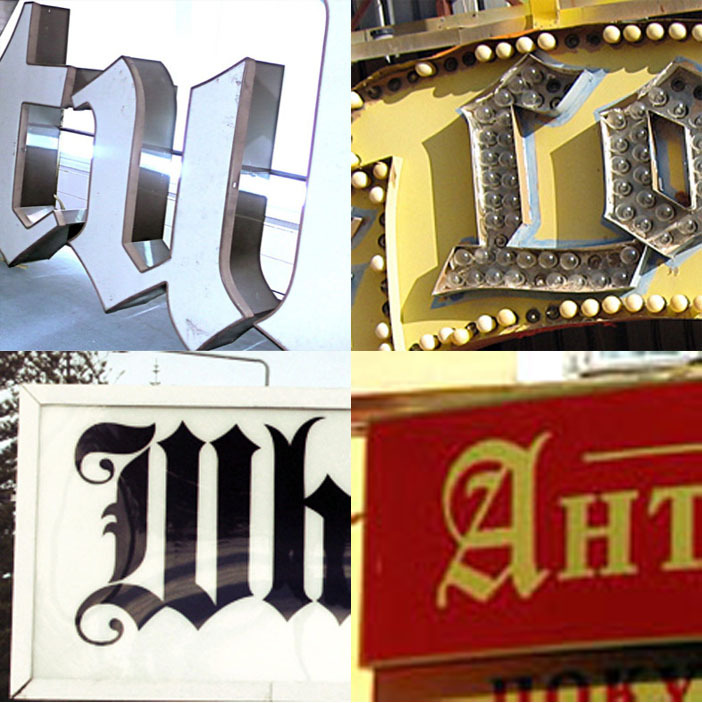 Here are a selection of the research images for the Type Tasting workshop at SXSW. 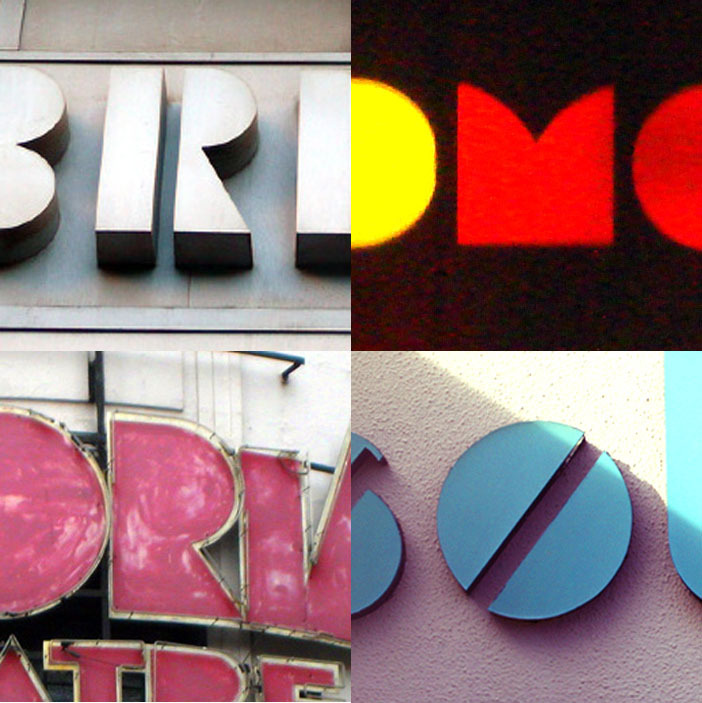 Above: geometric signs from Austin (USA), Delhi (India), London (UK), Brisbane (Australila). Below: Victorian style signs from Rome (Italy), Bangkok (Thailand), San Francisco (USA), Geneva (Switzerland). 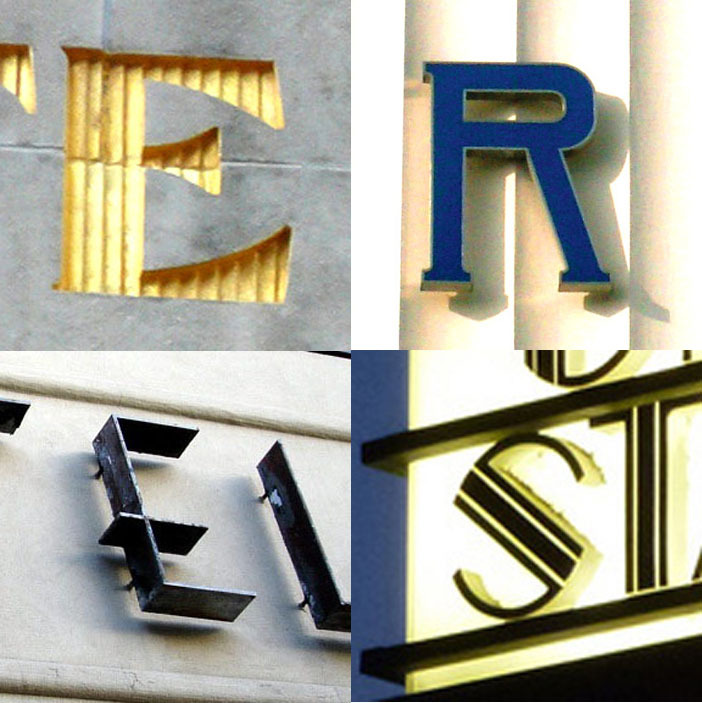 Above: Art Deco signs from New York (USA), London (UK), Melbourne (Australia), LA (USA). Below: Berlin (Germany), Las Vegas (USA), Brisbane (Australia), Moscow (Russia). 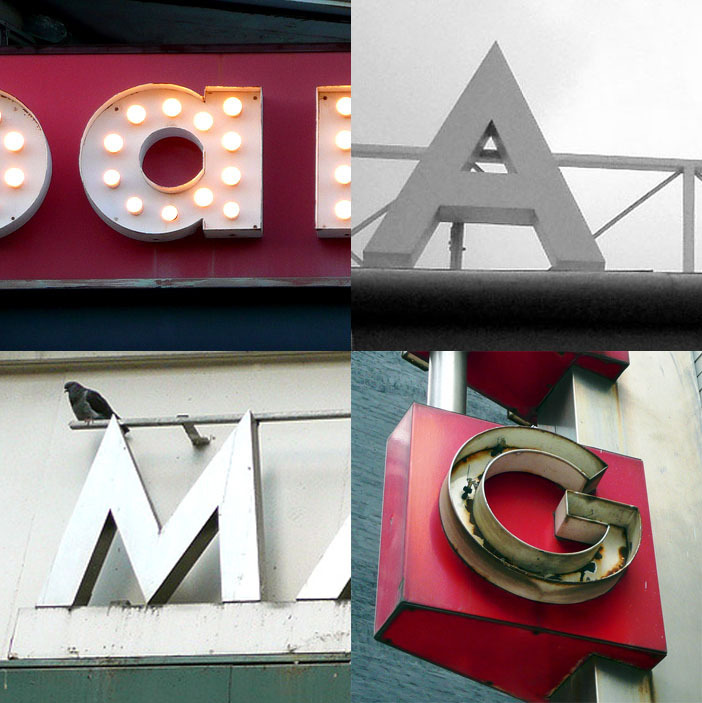 Above: Geometric signs from Chicago (USA), Sydney (Australia), New York (USA), Chicago (USA). 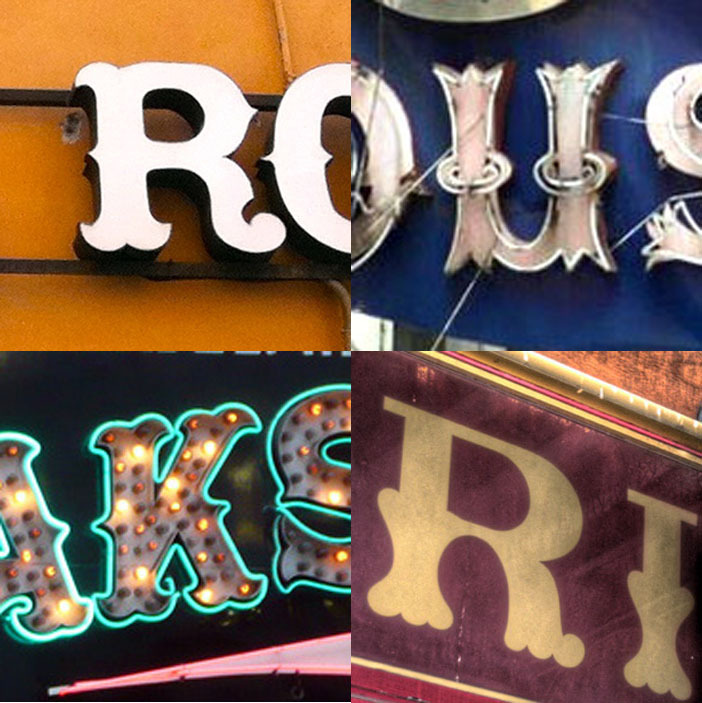 A comparison of signage from around the world, for SXSW Type Tasting is exploring he type and letters we see around us in the form of the signs and wayfinding we use to navigate our lives. Why: This should be a fun, experiential workshop that will allow you to get your hands dirty with typography. Use templates, customize letters and learn about emerging trends in typography.